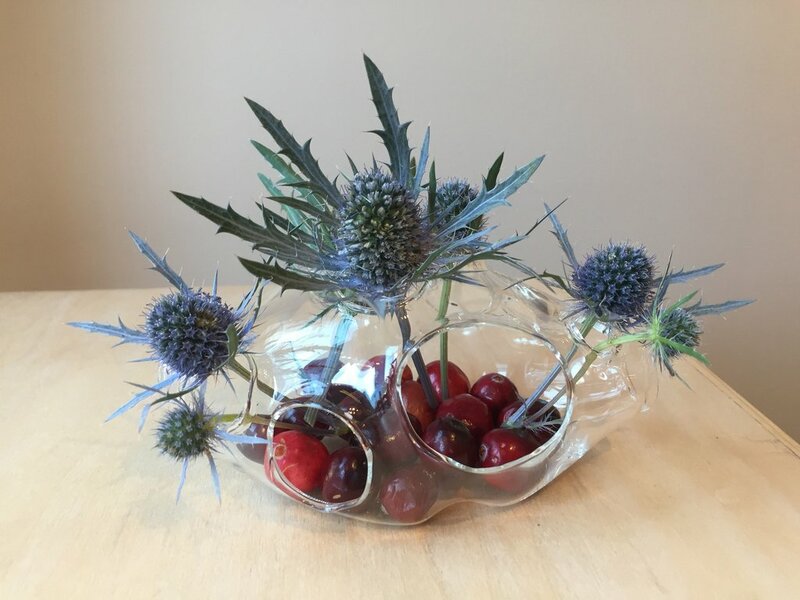 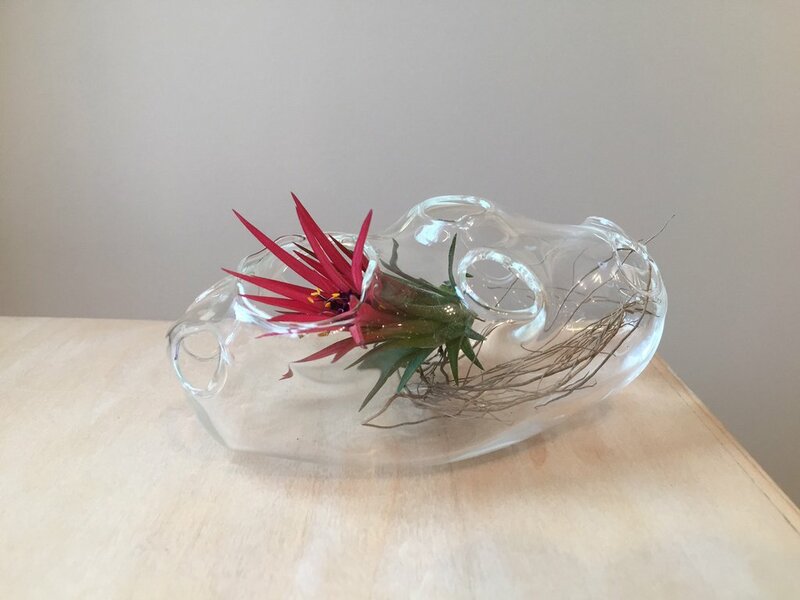 Designed by artist Amy Lemaire in collaboration with Brooklyn Botanic Garden, each unique piece is hand-blown in the UrbanGlass studio in Downtown Brooklyn. 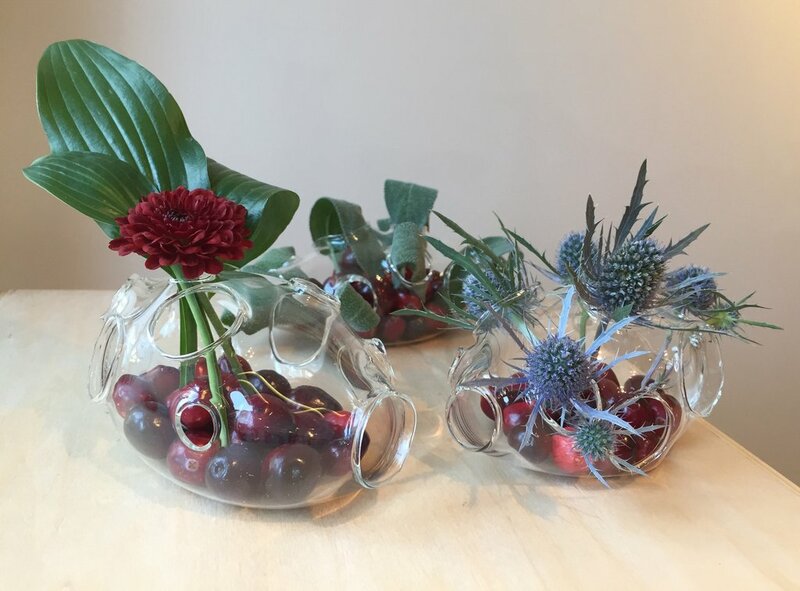 Inspired by Lemaire's decade of work as a floral designer, the terrarium is reminiscent of Banksia tree flower pods. 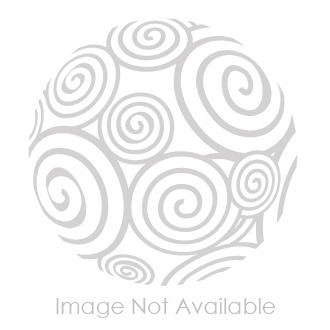 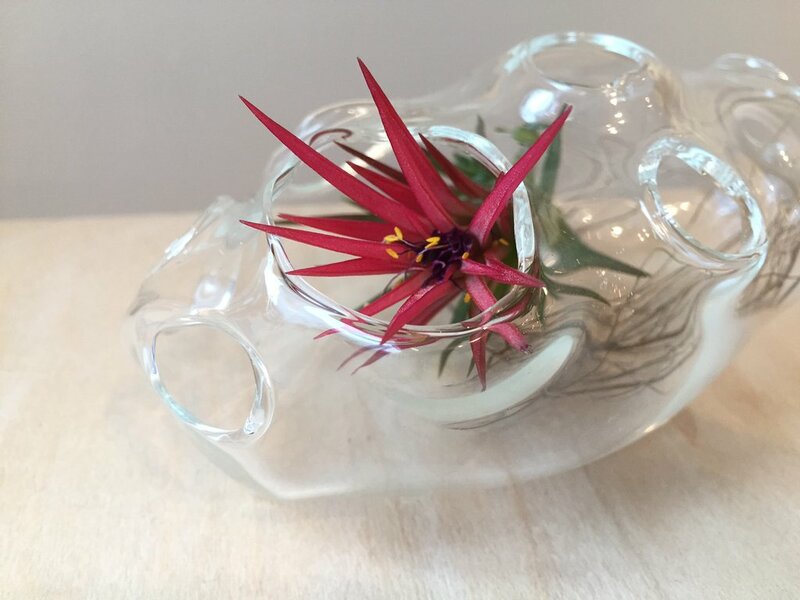 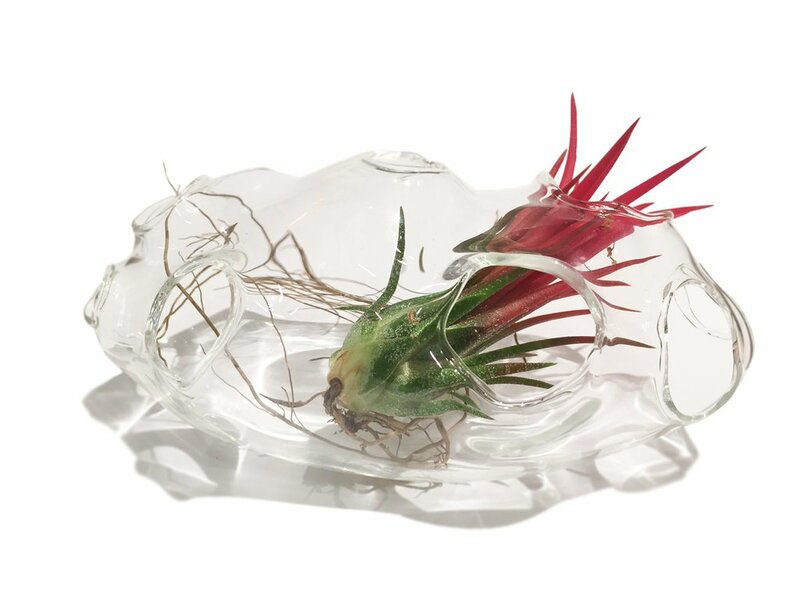 It comes with an air plant, but can be used to display a variety of floral arrangements. 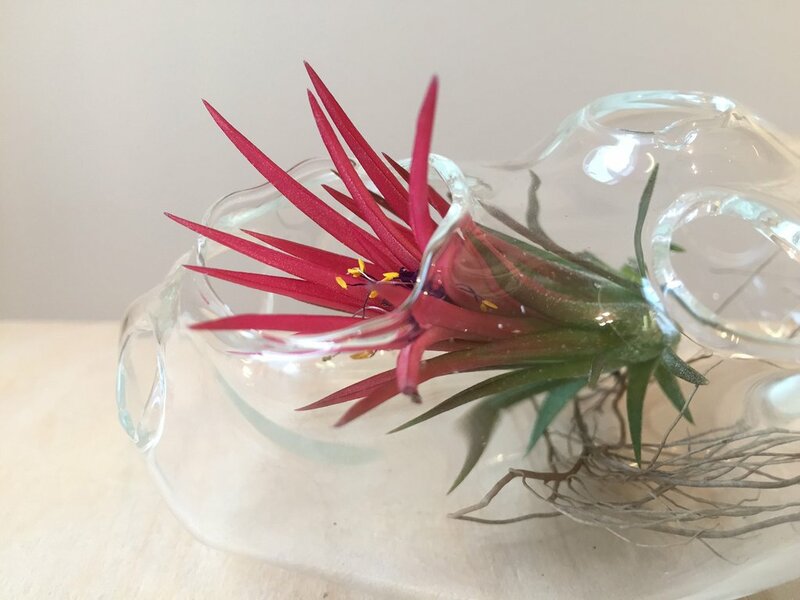 Each air plant and vessel are one-of-a-kind. 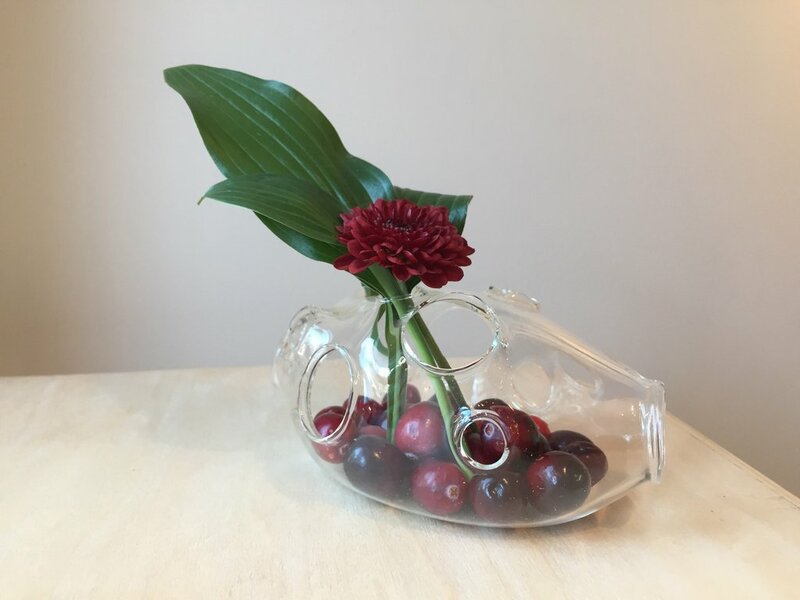 We'll choose one for you!